Shame on The New York Times for publishing an anonymous op-ed regarding the goings-on in the Trump White House. In this era of unprecedented “fake news,” the people of this country who believe in and appreciate a free press need the media to present concrete, unquestionable news sources. This anonymous author doesn’t meet those criteria. 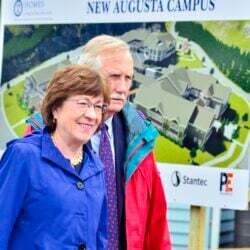 Does Sen. Collins recall pledge to listen to voters? If this anonymous news source turns out to be even the least bit incorrect, the lying Donald Trump wins. The media and the United States citizens lose. Shame on The New York Times.